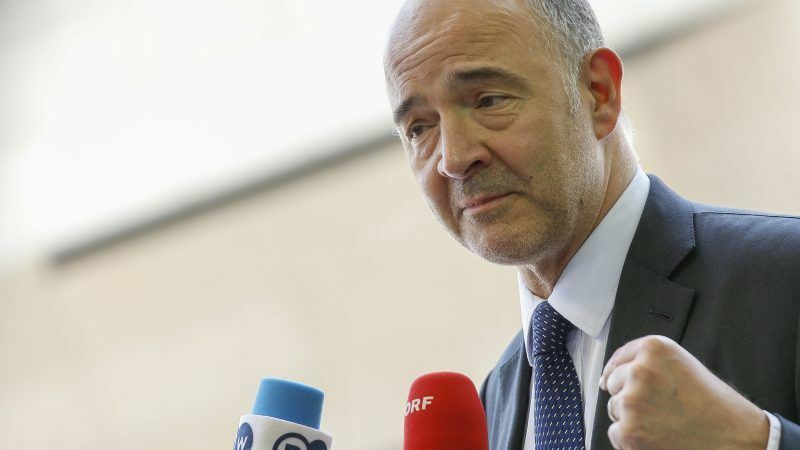 French EU Commissioner Pierre Moscovici announced that he would not be a Spitzenkandidat during May’s European elections because he lacks support at home. EURACTIV France reports. 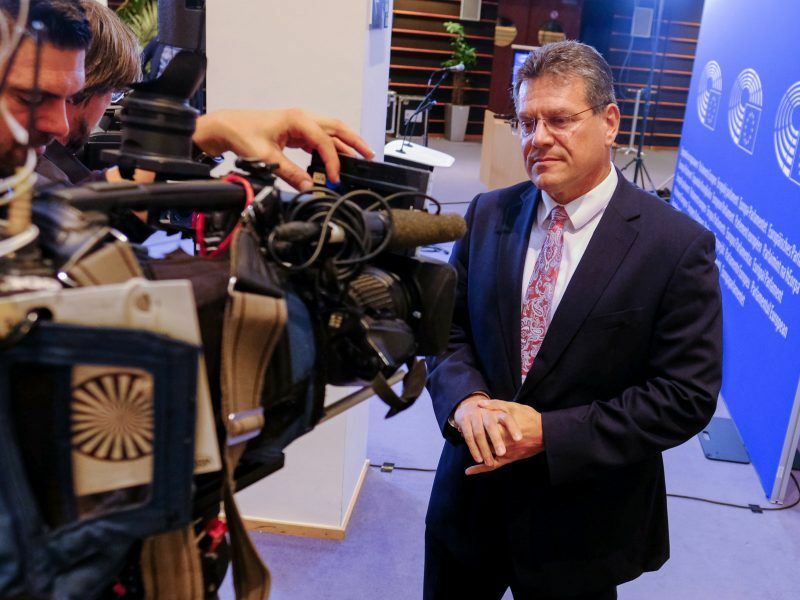 During the European Parliament’s plenary session earlier this week, EU politics wonks were still wondering whether Moscovici would declare himself a Spitzenkandidat against Slovakian Commissioner colleague, Maroš Šefčovič. On Thursday 4 October, the French Commissioner finally provided an answer on his blog and in an interview with Le Monde. He explained that he would not be running because he has not been elected to lead his party’s list in France. Unlike others, such as Alexander Stubb, who will be standing as a Spitzenkandidat despite not running in the European elections, the French Commissioner believes that one is not possible without the other. The French socialists’ programme for Europe has been the subject of complicated debates for several months. On 2 October, the party’s office accepted these differences and also confirmed that Moscovici would not have the support to lead the list. This position could be given to MEP Christine Revault d’Allones Bonnefoy, probably in tandem with another candidate. Another MEP, Eric Andrieu, will also be a candidate. In his blog, the outgoing Commissioner regretted the continuing preserve of anti-European ideas within the PS. Moscovici’s entourage also lamented that the record of the outgoing Commission was not recognised by the French left. “We played defensive, admittedly, not offensive – we couldn’t, given the forces involved. But having 8 commissioners out of 20, the socialists didn’t come short by fighting against tax evasion and moving environmental matters forward,” a source at the Commission said. Moscovici wrote a letter to Sergei Stanichev, president of the Party of European Socialists, explaining his motives. Despite withdrawing from the Spitzenkandidaten race, he wants to join the European socialists’ campaign. Moscovici also says that he does not want to leave the term “progressiveness” to Macron, while he prefers to use the term “party of progress”. In order to achieve this, he envisages an alliance of left-wing progressives. This would aim to extend the party on its left, by reaching out to actors who are both progressive and pro-European, such as Syriza or even the Greens. Socialist forces in many countries are in tatters, which also explains the party’s need to open up. Moreover, the Party of European Socialists’ poor situation is reflected in the following surprising situation: two weeks before the end of the nomination period, with both Federica Mogherini and Pierre Moscovici throwing in the towel, the only candidate to have declared at the moment is Commission VP Šefčovič. Juncker’s right-hand man, Frans Timmermans, has not confirmed his candidacy, even though he claims that he would have the support of Dutch Prime Minister Mark Rutte, despite hailing from different parties.